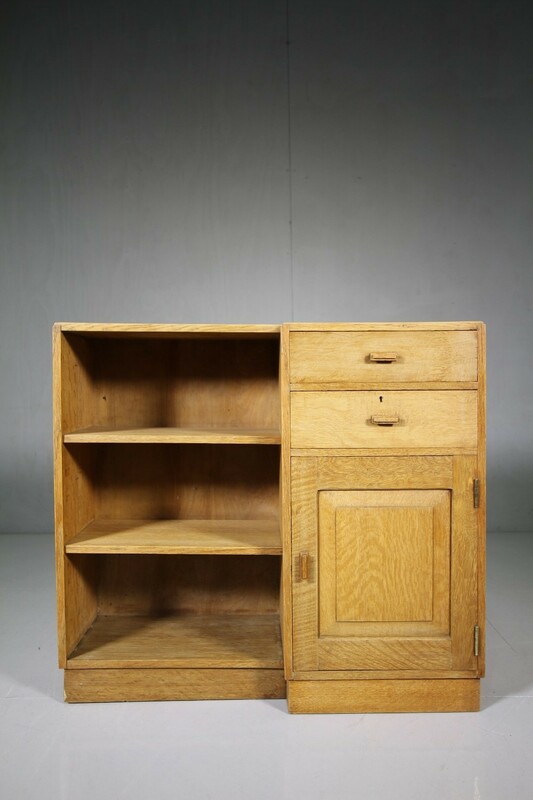 A good quality, solid English oak cabinet very much in the Heals manner. 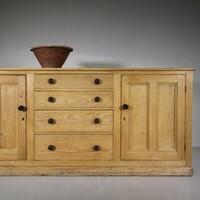 In superb, clean and orignal condition. 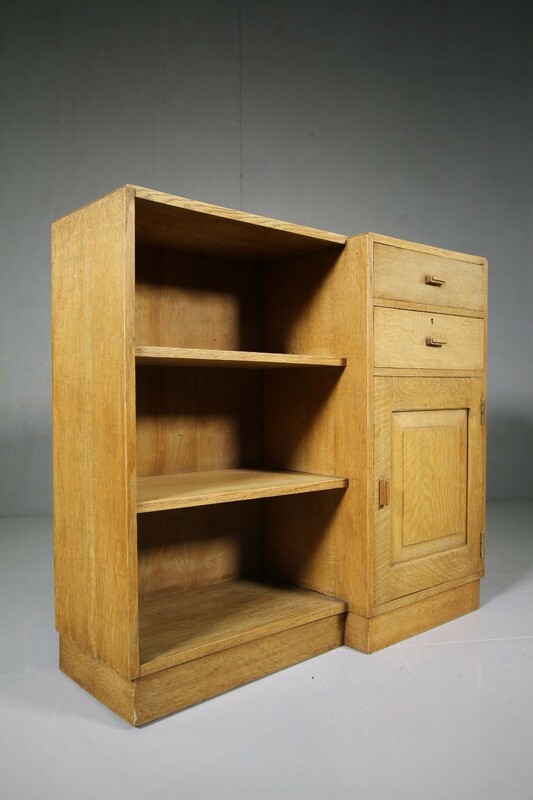 This stepped front cabinet features two drawers over a single, fielded panel cupboar door with three open shelves beside. 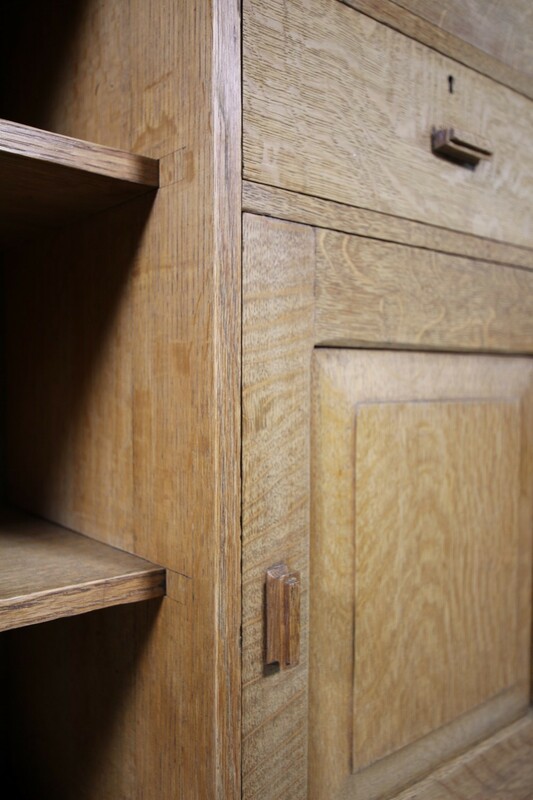 Original handles and the cabinet stands well on a stepped plinth. 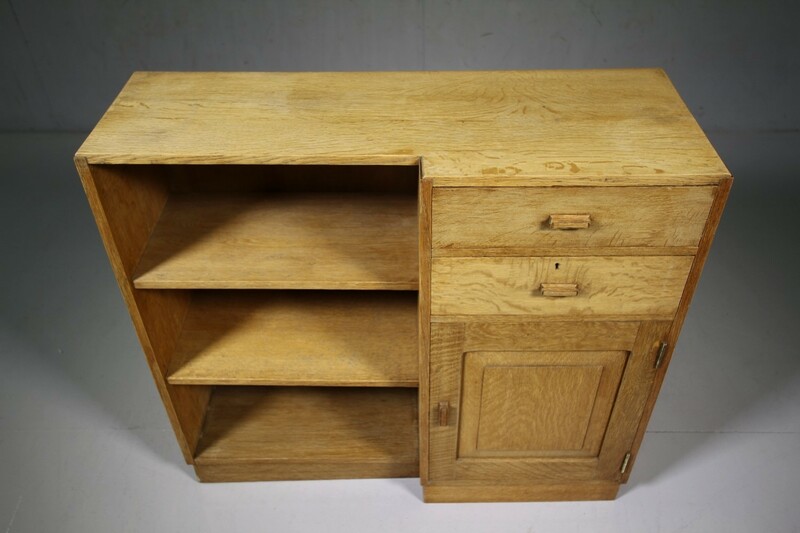 A useful piece of English oak furniture from the thirties.